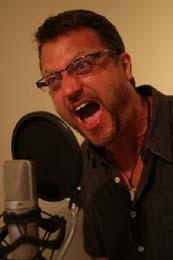 Steven Jay Blum (also credited as Steve Blum, David Lucas, and many other names) is one of the most prominent and popular American voice actors, lending his voice in well over 300 cartoons, video games, and anime. Some of his more popular roles include Spike Spiegel of Cowboy Bebop, Orochimaru of Naruto, and Marvel’s Wolverine – who he portrays in multiple video games and cartoon series. Steven was the narrator and tutorial guide in Tech2Go’s 2005 video game, Teenage Mutant Ninja Turtles: The Way of the Warrior.